We've heard tons of rumors about the discovery of lost Doctor Who episodes, and while many of those rumors remain unconfirmed, at least a few episodes have been rediscovered. The Radio Times has announced that two previously lost episodes from the Patrick Troughton era will be available for download this Wednesday! According to the Radio Times, BBC Worldwide will put the two episodes up for sale on Wednesday morning, probably through various digital platforms. 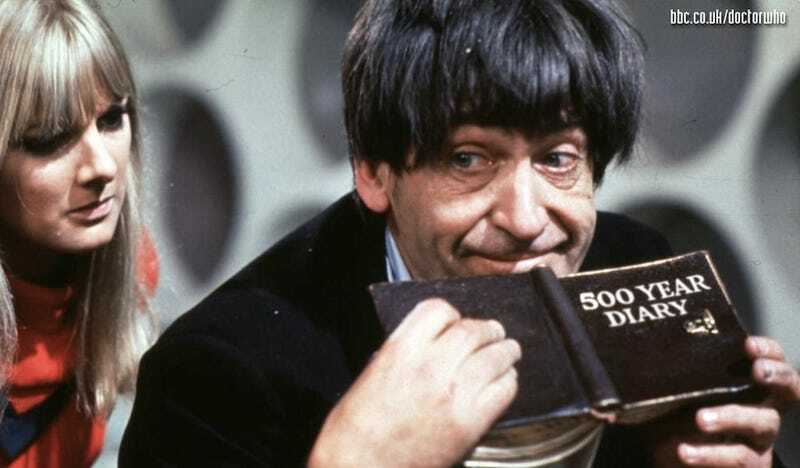 The episodes are believed to be from two different stories featuring the Second Doctor. The Radio Times also says that it understands that other episodes have been found, but there are no details about when and if they will be made available. However, there's no indication that this is part of the much-rumored cache of 90+ lost Doctor Who episodes. When asked about the cache, a BBC spokeswoman told the Radio Times, "We can’t confirm because it’s not true, as far as I’m aware." Still, it's a very exciting 50th anniversary gift for Who fans and fans of Troughton.